A cosy and peaceful hotel in an excellent location. All the city’s services are nearby. Friendly staff, a comfortable restaurant, bar, sauna and swimming pool guarantee a relaxing visit. There are bright meeting rooms and good parking facilities. Due to its convenient location, our hotel serves as an excellent base for both leisure travellers and conference and business travellers. Enjoy a delicious dinner in our restaurant and have a drink and browse a magazine or watch TV in our relaxed bar. You can also have a moment to yourself in our cosy relaxation suite with sauna and swimming pool. Our peaceful and tidy rooms and versatile room selection cater for all needs. The rooms have comfortable beds and all that you need for a good night’s sleep. Our modern conference facilities are perfect for organising conferences, events and parties. The bright Talvipuutarha (Winter garden) can easily be converted for several different events. The hotel has plenty of parking space and all areas of the hotel have free WiFi. It’s easy to arrive at and leave from the hotel as it’s located near the centre of Turku, with good transport connections. The railway station is located only a kilometre from the hotel and all of the city centre’s services are within easy reach. Close to the hotel, admire the Aurajoki River with its river boats and enjoy a cup of coffee at the popular market square. Turku Castle and the cathedral are only a short walk away. The hotel will be closed for Easter on 17 April and is opened again on 23 April. Our launderette is equipped with a washing machine, a tumble dryer and an iron and ironing board. 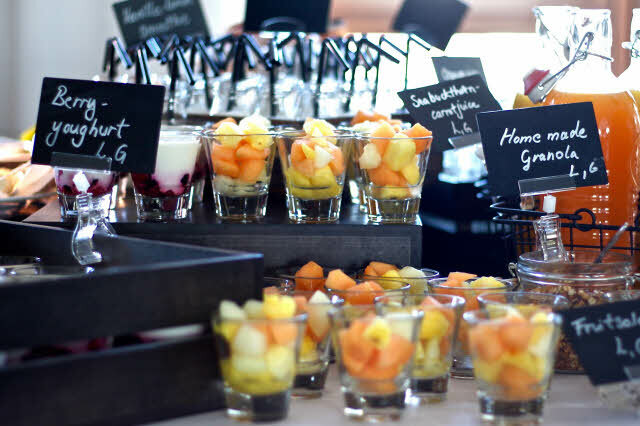 Enjoy a breakfast buffet and a delicious dinner in our hotel restaurant. Stop by for a drink in our relaxed bar. It's difficult not to feel welcome! Organise meetings, conferences and events for up to 60 people in our five modern and bright meeting rooms.